This property is one of the few remaining nineteenth century French houses in the country. 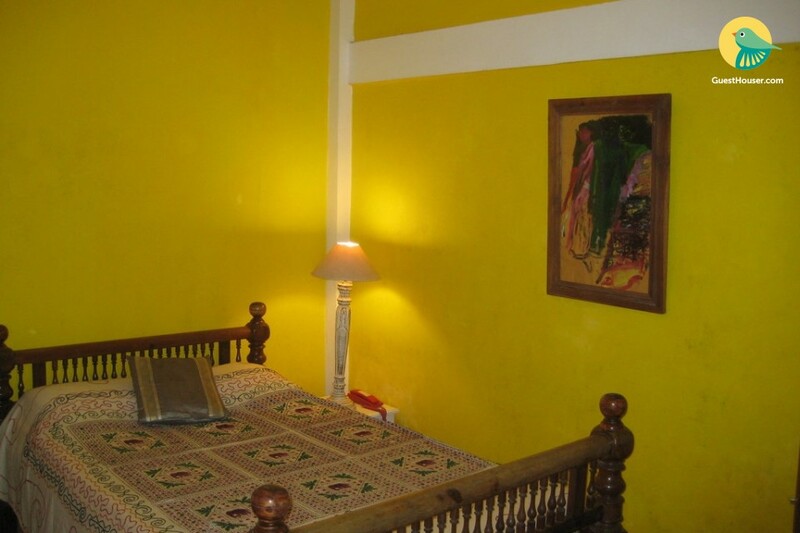 With walls painted in neon green, an antique bed with ethnic furnishings, a distressed-wood lamp, wooden desk and chair, and a tall wood cabinet for added convenience, this could be a good bet for those looking for a hint of tradition. 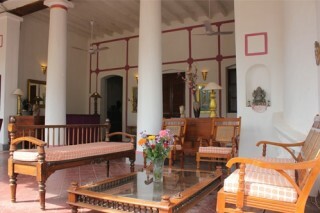 The living space flaunts antique seaters with a coffee table to match; antique lamps dot the space for added elegance. Reflecting the elegance and beauty of French touch as well as the subtle allure of the Orient, rooms include the modern comforts of home as well. They feature the best of soaps, shampoos and lotions for personal use during your stay. Room consists of décor-antiques, exclusive linens, original paintings, comfortable sitting areas that compliment the themes of each of the rooms in creating that memorable place . Facilities: Well furnished A/c rooms 24 hours hot and cold water TV in all rooms, 12 hrs check out Mini conference hall at very reasonable cost Relax and enjoy the sea view from our roof top terrace. Restaurant with Bar facilities from 8AM - 12PM. Places to visit: Matrimandir (Auroville) This is a beautiful Dome synonymous with Auroville, represents its essence with a quiet hall of meditation. The dome is covered on the outside by the golden dics that reflects the sun, giving it a surreal radiance. Paradise Beach With the sun out most the year, the boating in calm water can be a soothing experience. The backwater at Chunnambar along the Cuddalore Main Road guarantee you a pleasure - be it on the famous jetties or ferries. Promenade Beach There is bunch of beaches across the city located with the pormenade beach located right to the heart of the city. Quiet Healing centre If you are looking at rejuvenating yourself, this place is ideal place to be. From watsu, shiatsu, hot stone massage, sound healing to well known acupuncture, guest can try all these at the spa at Auroville. 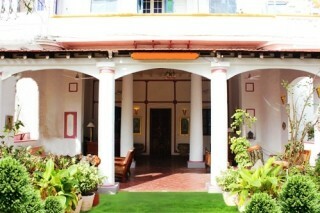 Aurobindo Ashram The Aurobindo ashram, established by Sri Aurobindo, is a popular landmark in Pondicherry. Villupuram Junction is just 20 km away. Villianur Railway Station is around 9 km away. Puducherry Railway Station is just 1 km away. Chennai International Airport is just 150 km away.